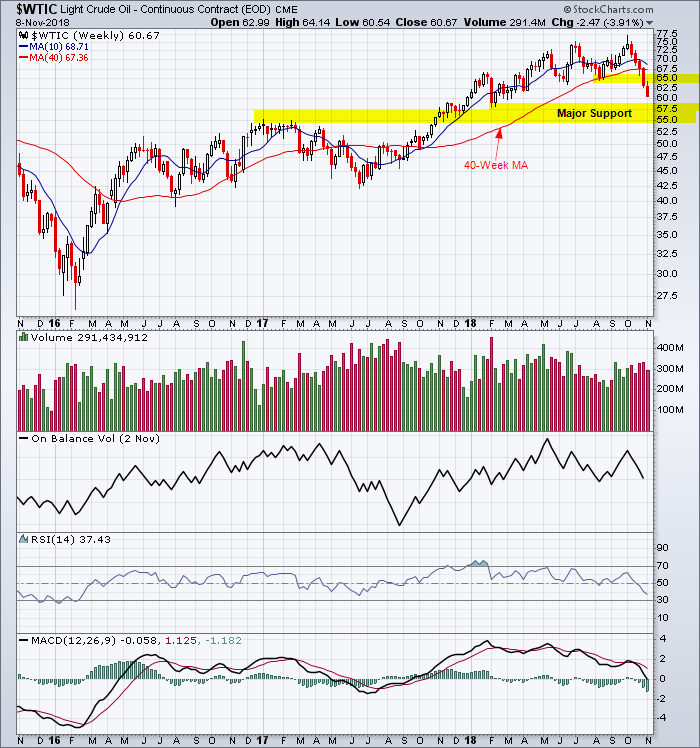 West Texas Intermediate broke near-term support around $65. It is trading below the 200 day simple moving average and the next major test is around $55 to $57.50. Reference the last chart analysis for WTI. Note:This technical analysis is for educational purposes. Please conduct your own analysis or consult a financial advisor before making investment decisions. The author of this article may hold long or short positions in the featured stocks or indexes. This entry was posted in Commodities and tagged WTI on November 8, 2018 by Trader.